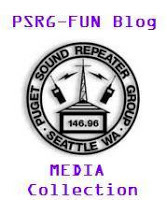 PSRG Picnic July 14th at Magnolia Park. This will be a potluck with PSRG providing the basics: Hamburgers, hot dogs, potato salad, plates & plastic ware. Contact Tim WT1IM for volunteer details. The picnic site permit runs from 10 AM to 2 PM (although many don’t arrive that early). Feel free to arrive early and bring breakfast food! It is not necessary to be a formal member of PSRG to attend.